My Goddess was a huge Scooby Fan from the age of 3-6. When others were watching the Disney Channel my little girl LOVED the Scooby Gang. In this new DVD the gang meet one of the coolest groups in Rock and Roll Kiss! She has every DVD ever made and still holds onto her Scooby toys even though she hasn't played with them in over 3 years. 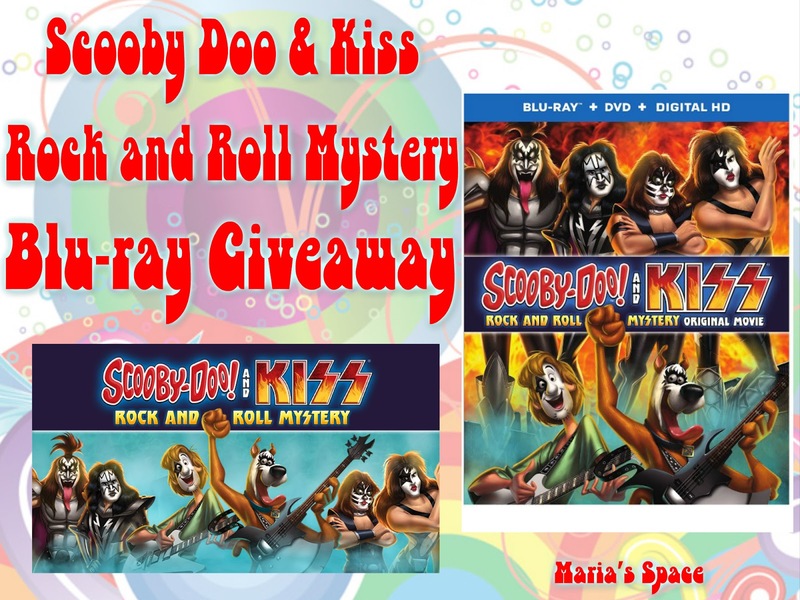 The Scooby Doo and KISS: Rock and Roll Mystery Soundboard App and you can too. Click around the board for the sounds of Scooby and the Gang. It's pretty cool! Blu-ray Giveaway: Enter before 7/25 for your chance to win a Blu-ray Combo. Disclaimer: No monetary or product compensation was offered to host this giveaway. Shaggy saying "Zoinks" is my favorite! I love when Shaggy says "Zoinks"! My favorite is Scooby saying REHELLO!